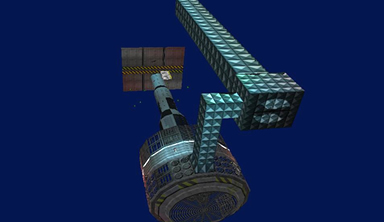 The sixth stage in the game is unique because it has absolutely nothing to do with the GoldenEye movie. 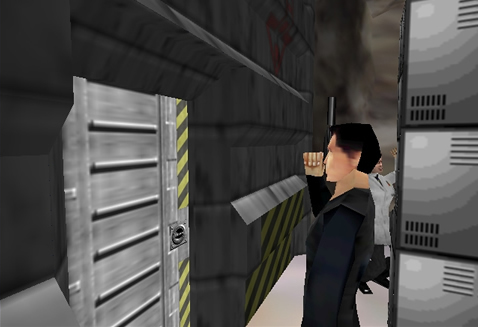 It's possible that the Silo was created as the game's engine was being developed - Before the team had insider access to the GoldenEye story... It's been noted that the only Bond film with a missile silo is a brief scene in Diamonds are Forever. Most video games based on movies will veer incredibly far from their original screenplays. 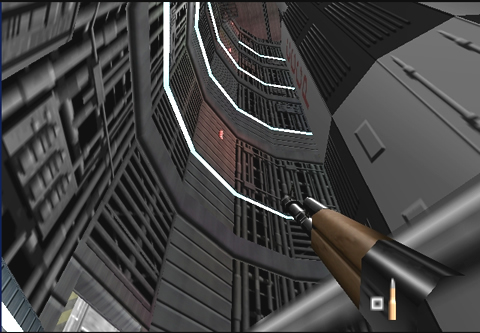 GoldenEye 007 actually stays fairly true to the movie, aside from obvious changes that had to occur during transition. Because of this, it seems as if they were able to add the Silo mission into the mix without raising many eyebrows. It's the only explanation that seems to justify just how far the shaft goes beyond the boundaries of what would ever be seen by playing the game normally... The shaft vertically extends to nearly match the height of the Silo level. 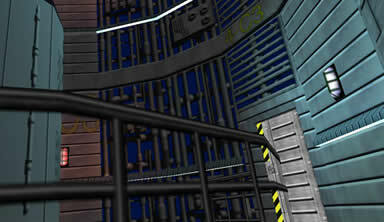 In the finished version of GoldenEye, the Silo mission has a total of 3 starting points available from the Debug Menu. The first being where Bond starts now, the second being in the first fuel room where Scientists are. 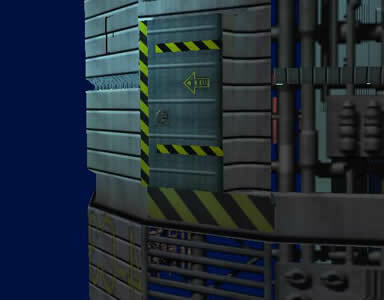 The third starting point, is just outside the door to the first fuel room. 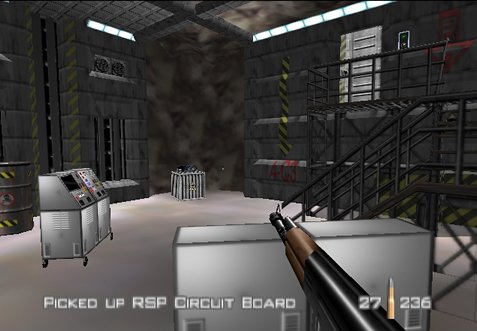 Bond's inventory lists all of the keycards and circuit boards collected throughout the mission. 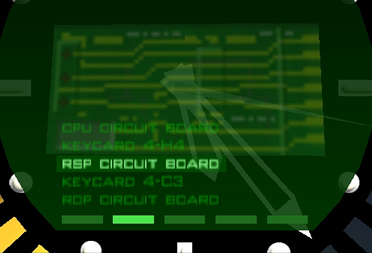 Pickup text exists for the individual circuit boards exists, but possibly went unused, to avoid confusing players with of different circuit board names. Even with the default silver door removed, it appears as if this one-time door has been permanently "welded in place" as part of the wall. It seems likely that all the Silo doors looked this way at one time. The overhead walkway at the top of the Silo is also missing the corresponding guardrail. 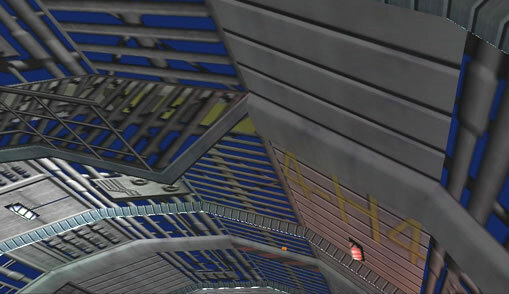 Considering the top and bottom walkways are missing guardrails at the exact same point, it suggests these two points may have been linked by the elevator lift (present in beta videos & screenshots), which has long since been removed. Looking up the Silo wall where the elevator lift may have been... I'm rather amused how the solid vertical panels go all the way up in that same location. 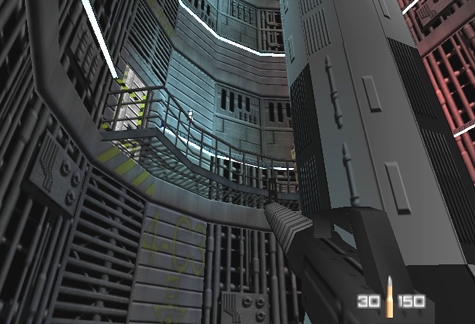 As a basic rail shooter game, a vertical ride up the lift would have made the experience a bit more entertaining than simply advancing forward. 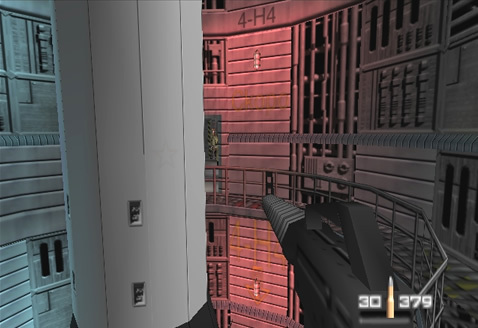 I suspect in the rail shooter version, Bond would have "climbed" down the ventilation shaft, and up the ladder (taking out any guards who might be on the walkway). The lift would have been accessed from there, where Bond would ride to the top of the Silo, shooting guards as they came into range to shoot at him. Interestingly enough, if a player were to "ride the lift" to this apparent destination, Bond would get off right outside the door where General Ourumov is waiting with his guards. 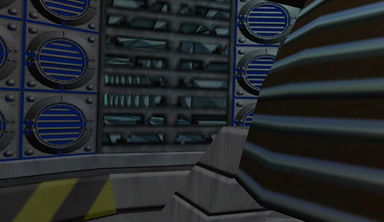 At one point in development, the team experimented by letting the player freely explore the missions "off the rails", which quickly led to the scrapping of the rail shooter concept. 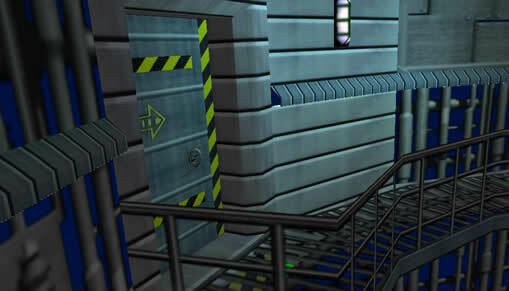 Oddly enough, in the finished game has the General facing this door when Bond enters the room. The General turns to the right to shoot at 007 when he sees him. 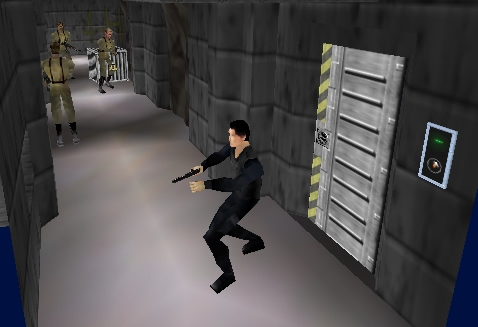 Things like the tank pursuing Ourumov's car in the Streets, Bond's ride up the elevator lift in the Silo... Perhaps even riding the military truck and boat in the Dam are remnants of GoldenEye's rail shooter past.